According to the American Association of Orthodontists, about one-third of adults in the United States are not happy with their smiles. In fact, it’s estimated that nearly half of young adults have untagged a photo of themselves on social media because they weren’t happy with their smiles. Those are some pretty big numbers and reinforce just how important our smiles are to us. After all, we depend on them during conversation, in job interviews, and when engaging with the world in general. In this context, it’s logical to conclude that to be unhappy with your smile is to be potentially anxious about your appearance and the way others perceive you. 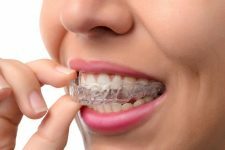 If you have crooked teeth and are unhappy with your smile, you might be worried about having traditional metal braces fitted. They’ve been around for what seems like forever, and they can make lots of people feel pretty self-conscious. 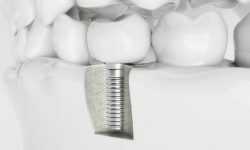 As effective as they are, here at the Abington Center for Cosmetic and Family Dentistry, we understand that metal braces aren’t for everyone. That’s why we offer InvisalignⓇ technology. One of the best things about Invisalign is that it’s ideal for anyone who’s worried about how metal braces look. The aligners are made of a high-grade, BPA-free material that’s clear, so they’re nearly invisible. They’re custom-made just for you and fit snugly over your teeth. The aligners work by applying pressure to your teeth and moving them into their final positions over time. Every couple of weeks, you switch to the next aligners in the series, so they can apply continued pressure toward getting your teeth into their final positions. 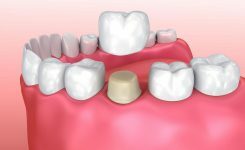 How long will treatment with Invisalign take? 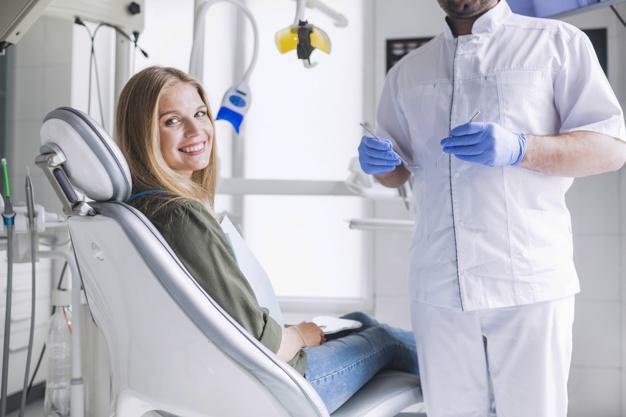 Even though Invisalign trays are more comfortable to wear — and definitely less noticeable than metal braces — no patient wants to wear any teeth-straightening devices longer than they have to. So the key question is: How long does it take for Invisalign to work? In most cases, the average time spent wearing Invisalign is approximately one year for adults and varies for teens. So that may represent a shorter time than traditional metal braces, which many people wear for 18-36 months. When you come in and sit down with Dr. Dennis, he provides an estimate of your individual treatment time, but the reality is that every case is different. Simpler cases take less time and more complex cases tend to take longer. The good news is that you don’t have to wait long to see the first fruits of Invisalign, as many patients begin to notice a difference in the alignment of their teeth in the first few weeks. If you think you need braces, why not consider Invisalign? To get started, schedule a consultation with Dr. Dennis through our convenient online system or call our office in Clarks Summit, Pennsylvania.